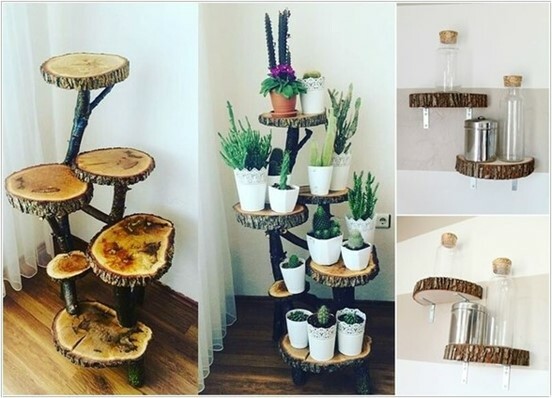 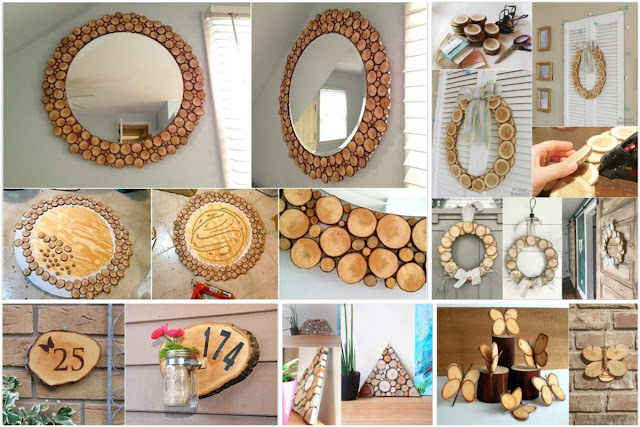 Wood is still an essential element of modern home decor, providing an elegant and easy to form material for distinctive designs. 1- A collection of various shelves designed in a great artistic manner using wood chips. 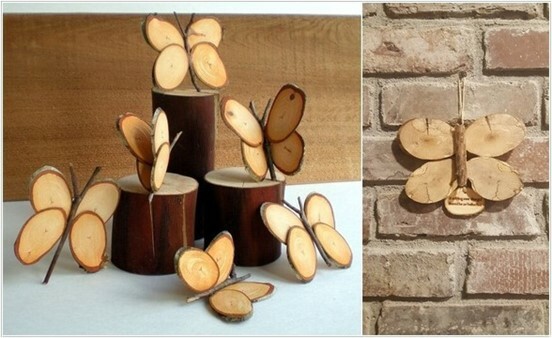 2 - innovative art in the form of butterflies made of wood strips to decorate the house. 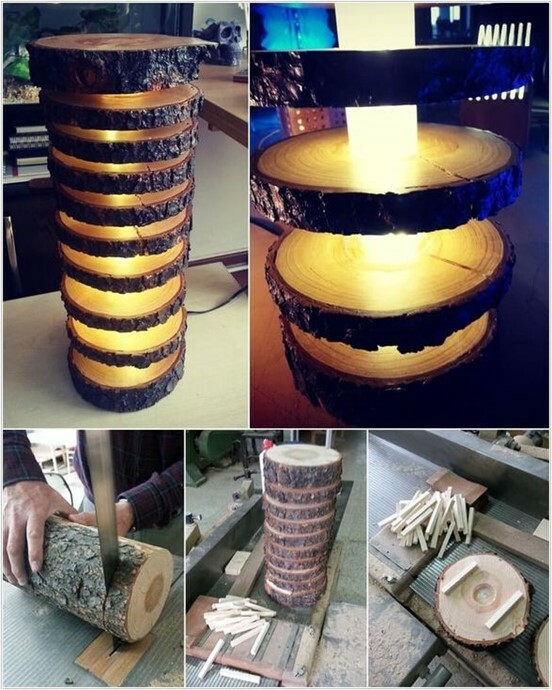 3 - An innovative lamp to light the house and to create more atmosphere of excellence and excitement using a group of wood chips. 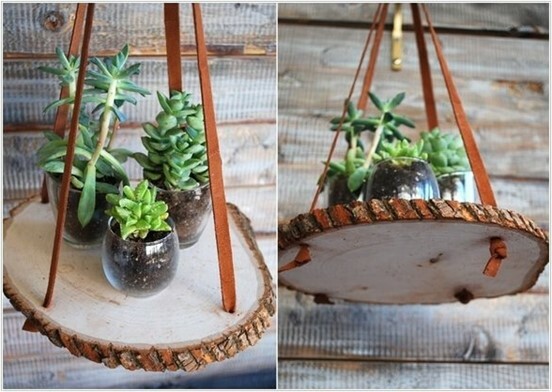 4 - the use of strips of wood as a load to hang plants from the roof of the room. 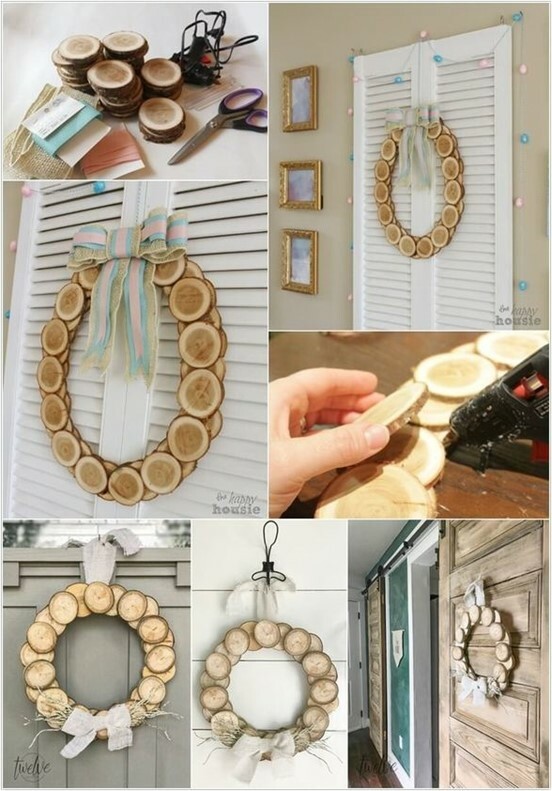 5 - A collar to decorate windows made of a large number of small wood chips. 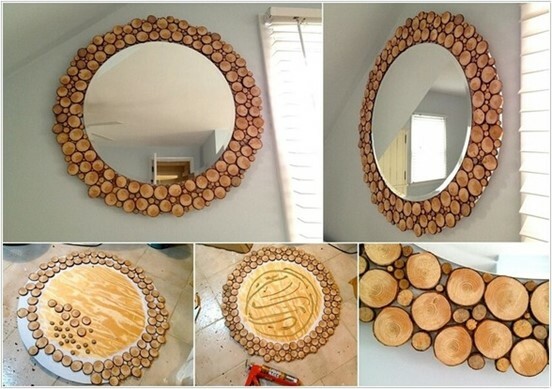 6 - Use a large range of small wood chips to decorate the perimeter of the mirror in the bedroom or bathroom. 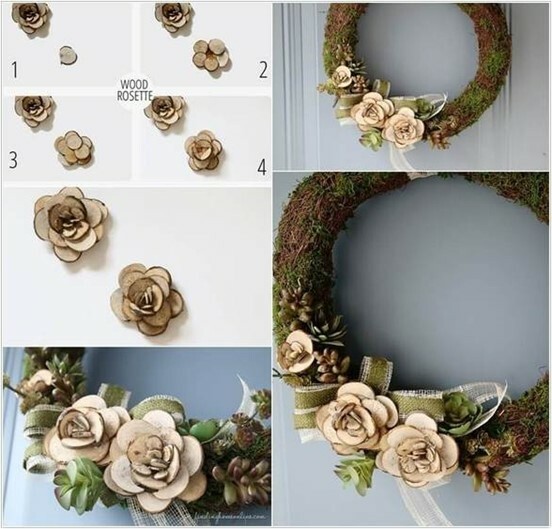 7 - These small slices can also be used to design distinctive formations of flowers and attractive shapes. 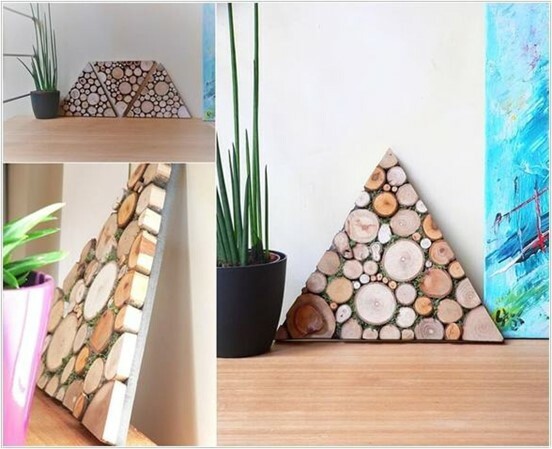 8- Geometric paintings in geometric shapes to decorate the walls of the house using wood chips. 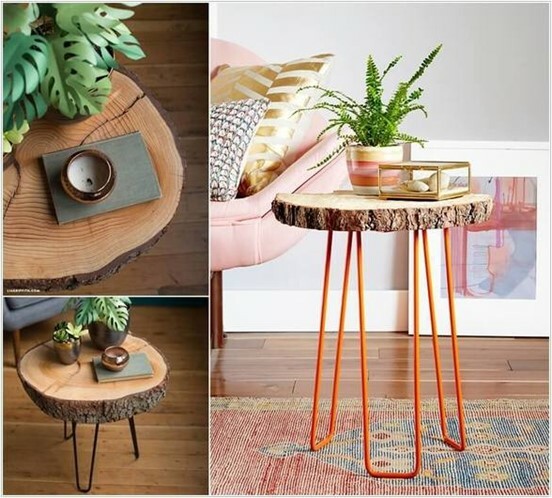 9- This simple table can be designed using a wooden slab with metal or wooden legs. 10- Finally, attention can be drawn to your home, by designing a plate to house number of wood chips.